Often when hunting mushrooms, a knife is needed for harvesting so as not to disturb the mycelium under the ground. This simple knife is designed to make the task easier by its unique cutting blade shape. 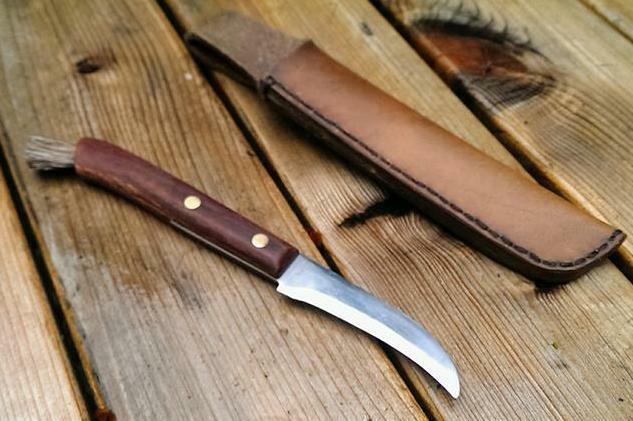 In this class we will make a mushroom harvesting knife from a reclaimed knife found in your kitchen. Students can bring an old unused carving knife from home, GIRO, or second hand store. If they don’t have then some may be provided. All tools will be provided. 13+ (under 18 speak to instructor first) | $90 | 8 max.